Blow away parents and kids alike by throwing a superhero civil war party featuring Captain America and Iron Man! Both sides need to be represented on the Iron Man vs. Captain America party snack menu. Tony Stark seems like a Rice Krispy treat fan (but aren’t we all?) so we’ll make specialty treats for his side, while the Captain knows there’s nothing more American than red, white, and blue snacks. 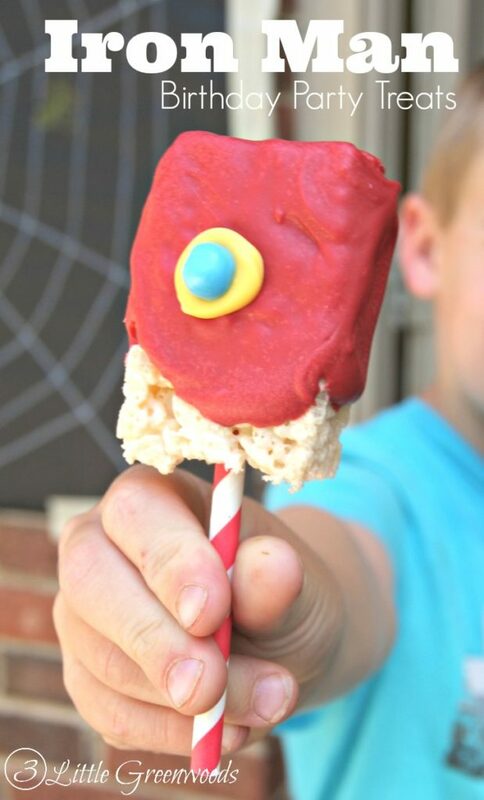 For these snacks, you’ll need pre-made Rice Krispy treats, red candy melts, yellow candy melts, small blue candy balls, and red and white paper straws. The straws will be used as holders for the treats so your guests can run around and fight crime while eating them. You’ll melt the red candy and the cover the treats with it. Once covered, melt the yellow candy and place a dollop in the center of each treat. Activate the Arc Reactor by placing a blue candy in the center of the yellow dollop, completing Iron Man’s iconic suit. For Captain America’s side of the snack battle, you’ll want to arm your party guests appropriately. 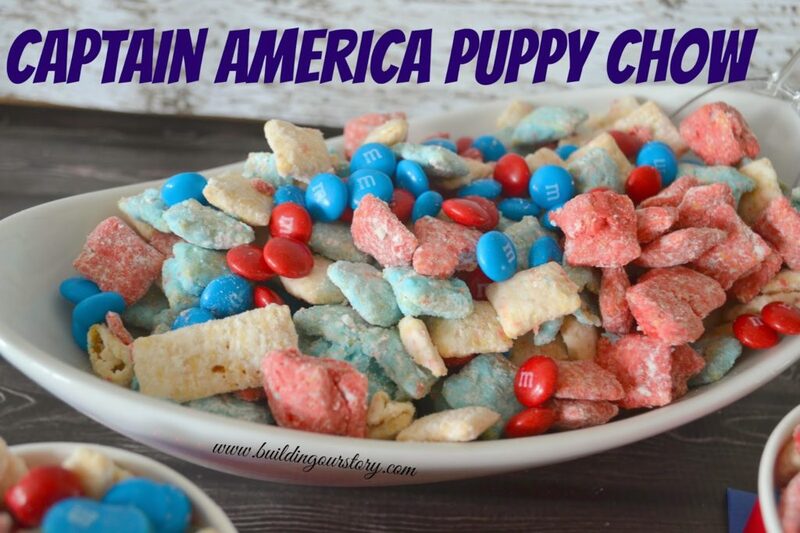 Get the snacking started by sending out patriotic Puppy Chow to the front-lines of your epic party. If the chow doesn’t end the battle on hunger at your event, deploy star-spangled fruit bowls as backup. These are easy to assemble as long as you’re armed with a star-shaped cookie cutter. Your Iron Man vs. Captain America party should feature a way for the two sides to battle it out and determine who is on the right side of government bureaucracy (that’s what this movie’s about, right?). The inflatable joust set pits members of each side of the conflict against each other and lets them settle their differences in a game of skill, balance, and strength. It’s the perfect way to simulate an epic skyscraper rooftop battle. When we pretend that the last two Spiderman movies never happened, it’s been close to a decade since the webslinger was last seen on the big screen. Captain America: Civil War marks the triumphant return of Spiderman to Marvel’s Cinematic Universe, which grants him permission to crash your Iron Man vs. Captain America party. The Spiderman bounce house lets your guests test out their Spidey senses as they jump around, pretending they’re swinging their way across the New York City skyline. Whether your allegiance is to Iron Man or Captain America, there’s no better way to bring both sides together than throwing a legendary bash.